Last year in July LinkedIn enabled the users to add documents in the LinkedIn messages and also allowing company pages to do the same. 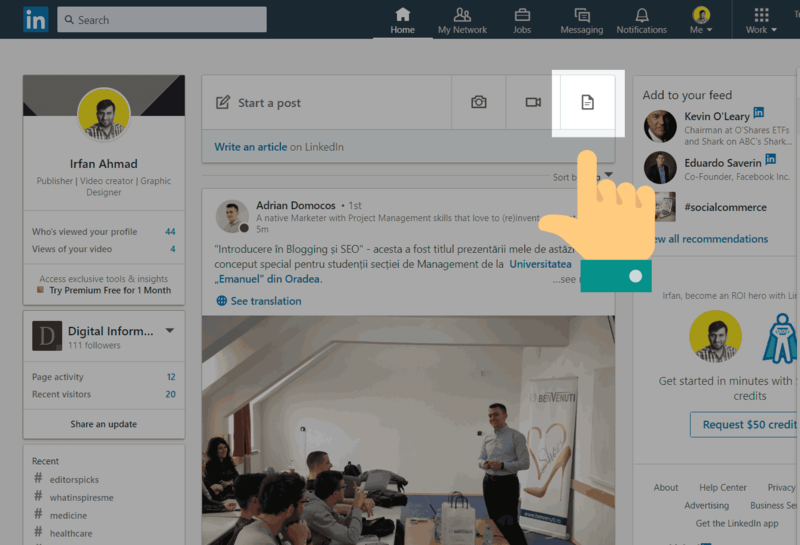 Whereas now LinkedIn said, every member of the platform will be able to upload their documents in various formats, including PDF and PowerPoint presentations. These documents can be uploaded either on their feed directly or can be posted in groups. LinkedIn said it will give a chance to increase the professional presence online. Presentations and documents can be a useful way to talk about topics of your interest and share your knowledge and opinion with your online community. Complex ideas can be broken down by sharing the whitepapers, case studies, conference presentations as well as playbooks. To add a deeper meaning into your words, images can be used within the documents. Though users were able to share their documents privately in messages or only through company pages, this new update will allow them to share their experience and knowledge in a better and effective way, by improving their personal profiles which in return can be beneficial. "We’re always looking for new ways to help you have valuable conversations, and look forward to seeing how you use this new feature to share ideas and learn from one another. ", saied Margaret Rose Taormina, Product Manager at LinkedIn. Click the document icon that can be seen on the desktop feed and upload the document from your computer. A small description of the document can be added. You can also add hashtags and @mentions to relate it with relevant topics. Choose the people to share it with, all, a certain group you have joined or only with your connections. As noted Jane Manchun Wong the feature will soon be available for the mobile apps as well.